Benelli plans to expand its adventure-tourer TRK range with higher displacement models. 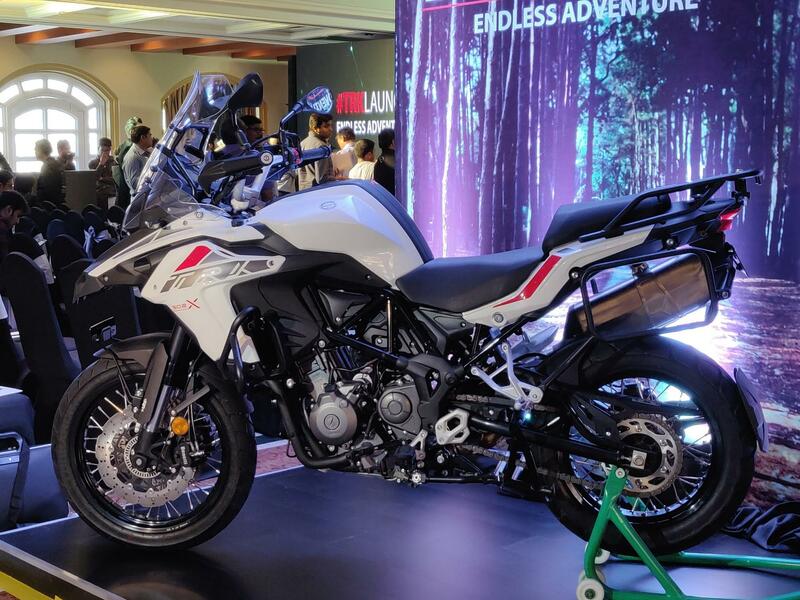 Speaking to IAB on the sidelines of the TRK 502 and TRK 502X India launch, Dante Bustos, Chief Marketing Officer, Benelli Global said that the TRK range would soon go up the displacement ladder and compete in the 750 cc segment. While the name has not been finalised, the bigger TRK model could be christened TRK 751. The bigger TRK would compete against the likes of Triumph Tiger 800 and the BMW F750GS/F850GS. The motorcycle would share its engine with Leoncino 800 and the 752S. The upcoming TRK would accompany the production-spec Leoncino 800, a motorcycle that made a debut in the concept form at the 2018 EICMA motorcycle show. The bigger TRK bike would most likely share its engine with the Leoncino 800. The 750 cc, parallel-twin cylinder, 8-valve, liquid-cooled engine, which also powers the 752S, is tuned to deliver 77 bhp of power at 8,500 rpm and 67 Nm of peak torque at 6,500 rpm. The TRK 800 could get a different gear ratio and an engine map that would be specified to match its character. The feature list would most definitely be very premium, and we expect the bigger TRK model to come with full LED headlight – an element that isn’t available on the current TRK range. Smartphone integration via Bluetooth is catching up, and thus it would not be a big surprise to see that on the 750 cc TRK. The bigger TRK model could also feature ride-by-wire throttle that would enable different riding modes. Similar to the 502 range, the 750 cc TRK would arrive in two variants – road biased and off-road focused. The road biased 750 cc TRK would come equipped with 17-inch alloy wheels on both ends while the off-road spec version will get a 19-inch front and 17-inch rear wire-spoke wheels. Braking power would come from dual discs at the front and a single disc at the rear while the safety net of (switchable) ABS would come as standard. Upside-down telescopic forks (most likely 50 mm units) at the front and a monoshock at the rear would perform shock absorption tasks. The 750 cc Benelli TRK could arrive post the Euro-V upgrade. The motorcycle could feature full LED headlight, smartphone integration via Bluetooth and ride-by-wire among others. 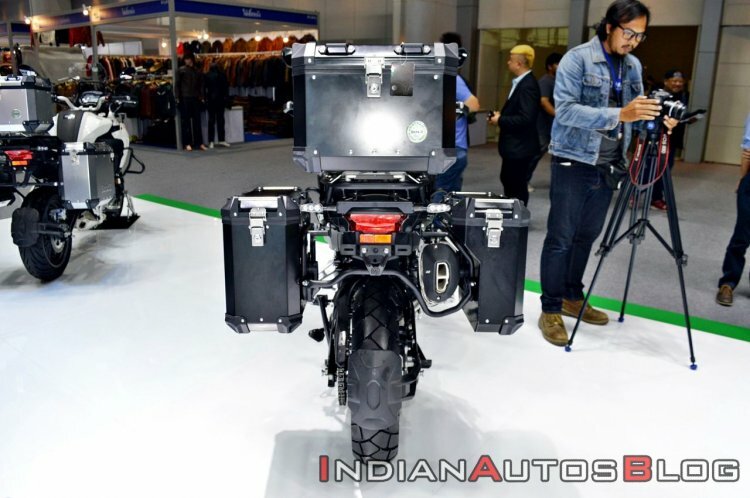 The 750 cc TRK duo would compete against the Triumph Tiger 800 range and the BMW F750 GS and the F850GS motorcycles. There is no specific timeline on the bigger TRK range as of now although we expect Benelli to use the Euro-V upgrade to introduce the new models. The company could also take on the bigger GS (R1250GS) and Tiger (1200) models in the future with the TRK brand. Note: Image of TRK 502X for representation only.